There's more than one place to get a Butterbeer. If you're heading to Universal Orlando Resort this Christmas, you're in for a real treat. The rides are fun, the snacks are delicious and the hotels superb at this time of the year. Of course, once you have been to Universal a few times you start to find out about some of the secrets that can make your vacation even more fun. There some things that you can do to either save time in queues, get the best experiences on attractions and just generally make your time at Universal the best it could possibly be. If you're considering purchasing a Universal Express Pass then you might want to stay at one of their onsite hotels. 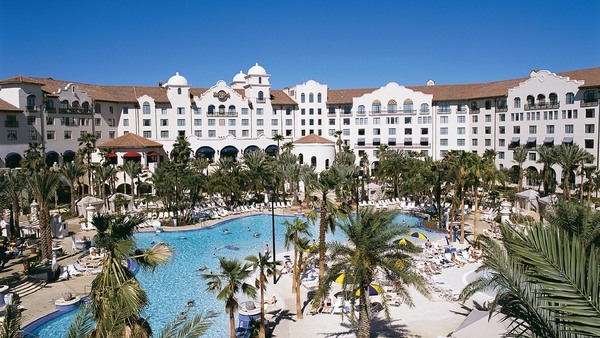 Staying at either Loew's Portofino Bay, Hard Rock Hotel and Loew's Royal Pacific Resort will mean that you get a free Unlimited Express Pass. The pass is valid for every day of your stay. Although these resorts are typically Universal's most expensive hotels, Unlimited Express Passes are worth up to £76 per day so you could end up with a great deal by staying at one of the three resorts. Express Pass is now valid at the Wizarding World so just like Harry you can fly through all of the long queues at the resort.